Some of the trendiest hops varieties out there are actually patented. Not all hops are created equal. Some are more tropical, others more piney, some earthy, floral and so on. From a more technical standpoint, some hops are more potent than others, containing differing levels of alpha acids, the chemical compound that contributes to bitterness. Hops have different countries of origin, and whereas some have long histories, others have been developed extremely recently through breeding – which leads to one more often overlooked difference in hops: Some are free to be grown by anyone and others are actually patented by the company that developed the plant. For its most recent beer in its ongoing Luponic Distortion series, California’ Firestone Walker Brewing Company decided to put the discussion over these two types of hops – often called “public” and “designer” hops – in the forefront. Luponic Distortion uses a revolving group of hops for every release, and with Revolution No. 009, the brewery is proudly touting that it has used six “public domain” hop varieties. Designer hops have become especially popular in recent years with names like Mosaic, Citra and Simcoe landing a on the label. 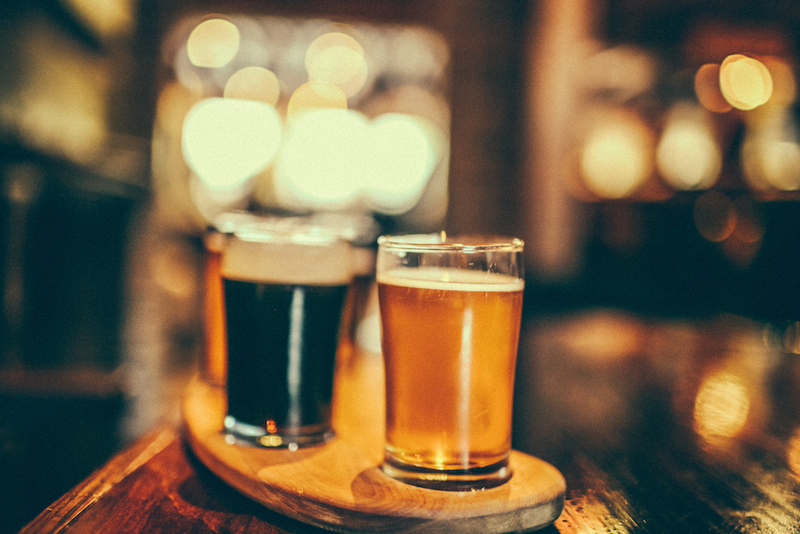 It’s not surprising that breweries would want to show off these patented varieties: Yes, they can impart some amazing flavors, but they can also be more difficult to come by and more expensive to secure. Ironically enough, in the announcement for Luponic Distortion Revolution No. 009 – which is out now – Firestone Walker doesn’t explicitly announce which hops were used, only stating that the beer contains two from the Pacific Northwest and Germany. But hey, you don’t want to make everything in your life public, do you? Could Virginia Become a Hotbed of East Coast Hops?